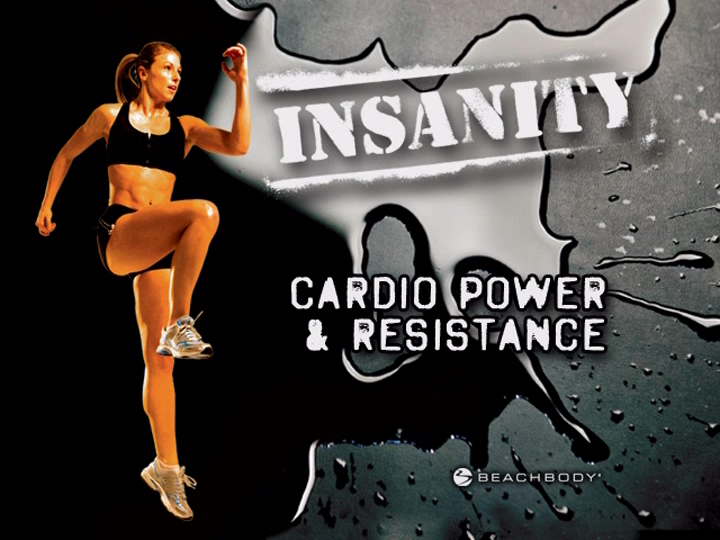 Now that the oxygen is back in my brain, I am able to report that I completed my first Insanity Cardio Power & Resistance routine. This Insanity stuff is extra challenging as you ramp back up after having been off a workout regimen for a while. With my legs still wobbly from yesterday’s Legs & Back, the Power Jumps–in particular–were draining. I got through the “warm up,” the stretching and Rounds 1 and 2 relatively OK. At some point before or during the third Round, however, I took a three minute break. The 30 second thing wasn’t doing it for me. The plus side of the longer break is the potential life saving power the oxygen and reduced heart rate. The down side is it give you time to think about why the heck you’re doing to yourself, and that makes it harder to get going again. I did resume, even though my Hurdle Jumps would only have cleared 4, possibly 6 inch hurdles. I haven’t done anything remotely as intense as this stuff since Junior High School soccer. Tomorrow is Rest Day on my schedule. Weather permitting, I’ll be backpacking with our Boy Scout Troop.